Dan Chaon is the author of three short story collections, including Among the Missing, which was nominated for a National Book Award, and three novels. He lives in Cleveland and teaches at Oberlin College. His latest novel Ill Will, a New York Times bestseller, was just published in paperback. When in town for the Columbia College Chicago Reading Series, he sat down with former student, and current nonfiction MFA candidate, Timothy Parfitt. The interview was edited for length and clarity. Punctuate: Ill Will builds off of factual events like the Satanism hysteria in the 80s and the conspiracy theories around the Smiley FaceKiller. When you’re building out your imaginative worlds, how do decide when to let your imagination run free and when to stick to fact? Dan Chaon: I think of everything as fiction. There are images that come from real life, but I don’t think I used any of the details of the factual cases. They become more of a conglomerate or collage of real stuff and made up stuff. So I didn’t feel tied to either of those events. There were several “Satanic Panic” cases that I used as touchstones, like the famous West Memphis Three one. And with the Smiley Face stuff, that’s so nebulous. I think there was one image I used that is pretty close to the real image which was the kid in the Native American outfit. But generally, I reset it in Ohio, there haven’t been any Smiley Face killings in Ohio, and I just used the template of the “killing method” as my jumping-off point. Punctuate: You say you think of everything as fiction. While your books have the momentum of a thriller, there’s also a strikingly contemplative mood, and moments I think of as essays within the larger novel or story. Do you consciously take stylistic cues from nonfiction or recreating the thinking that gets performed in personal essay? Dan Chaon: I read a lot of nonfiction so I suppose it’s stylistically influential. Structurally, I think some nonfiction feeds into what I am doing, almost more than fiction does. Particularly people who do collage work like Erik Larson and David Grann. And then there are moments when I want to have these mini-essays. For example (in Ill Will), there’s a lot of discussion of this idea of Eigengrau, the color gray and how that feeds into my feelings about Cleveland (laughs). Punctuate: Ill Will jumps around a lot, and you’ve spoken of being influenced by “gaps” in between panels of graphic novels and comics, and how they convey meaning. How much do you expect from readers? How much of the world building do you want to do and how much do you expect them to do? Dan Chaon: I have some expectation that the reader is coming into to an area where they also want to play. That’s the kind of writing that I love the most, the kind that has an invitation to the reader to join in, to invent some of the stuff themselves. But I don’t think that’s an unusual skill or even a difficult one. I think we do that when we’re playing any sort of RPG video game. We do that as fans of TV shows. All sorts of fan fiction exists about side characters and things that are never explained within an actual show. That’s part of what’s fun about the reading experience. But there are some people who disagree, who really want things laid out for them, but I’m not going to be that kind of writer. Punctuate: You’ve spoken of “going under” in terms of exploring dark characters. So has Alissa Nutting, especially with her book Tampa, which we read in a class here at Columbia and was the most contentious book I’ve encountered in an academic setting. She’s another Cleveland writer, correct? Dan Chaon: She did live in Cleveland. We’re good friends. Punctuate: I’m curious what you think of Tampa. Dan Chaon: I think it’s a really impressive and hilarious book. Super dark, but there’s something brave and radical about what she’s doing. It’s transgressive in a way that women haven’t been allowed to be as much as men in the past. Punctuate: I feel like I had a gendered reaction to it. The “male” version of that book, by which I mean male protagonist and male writer, I feel like I’ve read a hundred times. It shocked me how difficult I found it to read the opposite. Punctuate: Fox News, which granted I usually only peruse to outrage myself, covers those sorts of stories frequently, with that exact tone. It’s disturbing how they get packaged as these salacious stories-of-the-week. Dan Chaon: It’s interesting to me in part because a lot of Ill Will is about how men process childhood abuse, or refuse to process childhood abuse. I feel so much of that has to do with our culture not even acknowledging that there is such a thing. Punctuate: I asked about the essay earlier, I think self-perception, or lack thereof, is a big part of your work. Often there’s a gulf between how the characters see themselves and how the reader sees them, and a sense of dread that gulf closing. How do you build these interior worlds were characters can only see certain parts of themselves? Dan Chaon: Well, it’s one of my great terrors and I worry about it all the time (laughs). So it’s not hard at all. My own fear that I’m completely unaware of what’s really going on. And the times in my life where that has proved to be true. Just been totally oblivious. Unfortunately, oblivious characters seem to pop up all the time in my work (laughs). Punctuate: I liked how Ill Will felt both artier and pulpier than earlier books. Is that a new direction for you? Dan Chaon: I just don’t know. I’m in the early stages of this new book which is a domestic espionage thriller that takes place in a somewhat alt-America. It’s uses some of the same patterns that you referenced in Ill Will, short chapters, jumps around in time, but it’s a very voice-y first person, which I’ve never tried before. As a result, I think it lends itself less to formal experimentation, because it’s so based in voice. And the novel after that is going to be a historical novel, a Western. I have no idea how that’s going to play out. Punctuate: From interviews it’s clear you’re a voracious reader, but you’ve also said once you’ve read a book, you don’t necessarily feel obligated to reread it start-to-finish, and may pick and choose favorite passages from certain books without every revisiting the rest of the text. Personally I sometimes have a strange guilt about reading difficult books “wrong,” either by not finishing them, or not understanding every symbol. Since it may keep folks from reading challenging work, do you think people worry too much about reading something “wrong”? Dan Chaon: I guess the question is why are you reading? For me, I’ve gotten to the point I’m not reading for other people, I’m not reading as a critique, I’m reading for myself. If you’re reading for yourself it’s not possible to reading something wrong. You can read it through whatever lens you want. And if that gives you pleasure or that gives you an edifying way to look at a book, why not? It’s harder when you’re in school because the process of reading is this performance that’s being judged. Once you take that away, you can ask all sort of things from books that I think are really more valuable. There’s also the sort of commodification of the reading experience, which has to do with the way it’s socialized. There’s Goodreads and book clubs and this and that. They all have to with consensus and these star rating systems, and judgements and top ten lists. And while that stuff can be fun, it’s ultimately so uninteresting to me. Why can’t you read a book for a particular reason the way you listen to a song for a particular reason? Punctuate: You’re right, when you apply that reasoning to different types of art, it seems laughable. Though on the internet, there’s someone out there ready to tell you you’re listening to an album wrong. Dan Chaon: I’m sure, there’s probably someone on Pitchfork that would judge you on how you listen to an album. Punctuate: You’ve spoken before of letting a story “colonize your imagination” and waiting for a narrative to arise organically instead of imposing it on a project. How much of writing do you think you can control, and how do you know when to let go and when to impose yourself on your writing? Dan Chaon: I’m not sure. We give a lot more credit to the executive function of our brain than it probably deserves. That part of the brain, a really small part, takes credit for a lot of stuff it doesn’t actually do. It just thinks it did (laughs). It’s really hard to say. But I do think that there’s a point with novels, with my novels at least, where I get stuck, and I convince myself I can think my way into it, or plan it out somehow, or if I just sit there long enough and look out the window it will come to me. What I really need to do is write, and then that discovery comes through the process of writing. Whether it’s free writing or working on a scene, you begin to get these images, you begin to get these moments, and those reveal themselves and open up into more. I suspect my answer to this is the same you’d get from someone who does improve. Right? If you’re doing comedy improve, or dramatic improv, and you have to create a scene in the spur of the moment, you can’t think your way into it, but that doesn’t mean you’re not thinking. But it also doesn’t mean that what you’re creating is just random. It’s bring to bear all of the image-apparatus and story-apparatus that’s built into our . . . I hate the word subconscious because it sounds like mystical hypnotism stuff. The part of our brain that isn’t in control of the executive part. So when we’re kids and we’re playing, nobody tells us how to create a pretend story. We’ve absorbed a lot of stuff from all the stories we’ve heard and stories we’ve experienced. You’re playing with your dolls or whatever, and there’s no one standing over saying “There needs to be an inciting incident on page twelve.” We can just do it. We can follow through with this stuff. 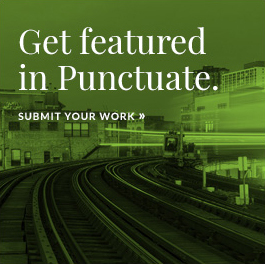 Punctuate: Sounds like towards the end of writing Ill Will you developed a Pavlovian system of rewards and timers to help get you over the finish line. How does your process change over the course of a project? Dan Chaon: Part of it has to do with how quickly you can get into the world of the story. In beginning, the world is super sketchy, so it takes you a longer time to get into it. You’re basically walking into a white-washed room with no furniture in it and then have to paint the walls and put the desks down. All that stuff. And then you know the characters, the places, you can get in there faster and improvise in that space a lot more. It’s just easier. It’s a process of building this kind of memory palace, and once it’s built, it’s easier to get in and spend time there. In the beginning I can maybe write a thousand words a day and towards the end of Ill Will I could write ten pages a day. Punctuate: Sounds like music is a big part of your process, you develop a soundtrack for a project to help you get back into a certain headspace quickly. Punctuate: Are you developing a playlist for the new book? Dan Chaon: Well right now the new call song, you know the one that calls me into the place, is LCD Soundsystem’s “American Dream.” In fact, if I hear that song I can just start. Punctuate: Your books are very cinematic. Who would be your dream director to make a Dan Chaon adaption? Punctuate: Let’s say . . . stitched-together the stories from Among the Missing. Dan Chaon: Huh. The stories from Among the Missing, stitched together…Paul Thomas Anderson. Though you know who else would be interesting is David Robert Mitchell, who directed this movie It Follows I really love. I think he could do something really interesting visually. Punctuate: My thoughts were John Carpenter, who is so good at dread, or Cary Fukunaga. Dan Chaon: Cary Fukunaga, yes. Or David Lynch would be great to direct Ill Will, if he could control himself. Though, you know, he has a hard time with narrative. 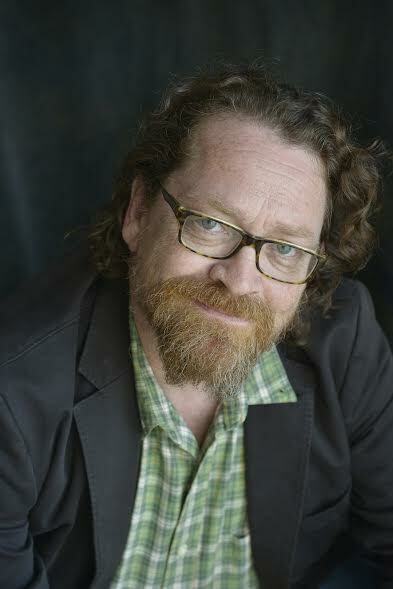 Timothy Parfitt is a Chicago-based essayist and translator. His writing has appeared in Deadspin, Thread, Newcity, Chicagoist, Timeout Chicago and Wassup.